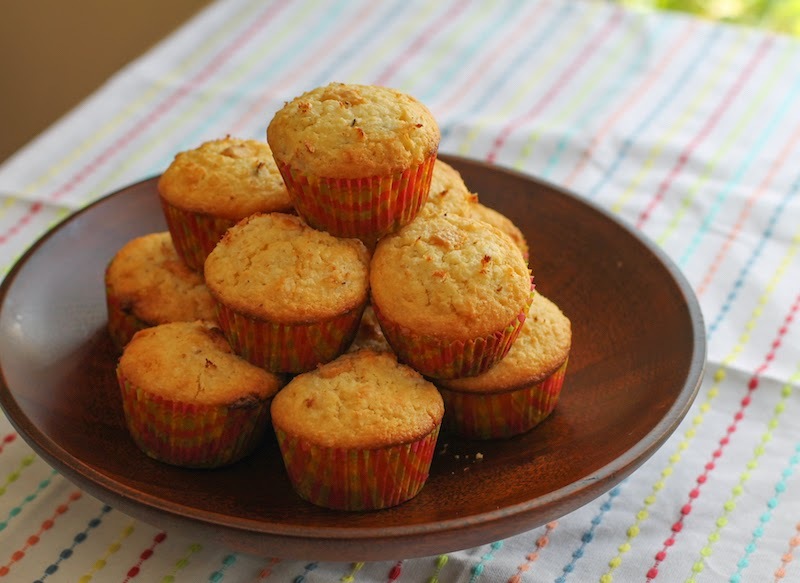 Start with a white chocolate bar crunchy with bits of coconut, add more coconut and coconut milk powder, then all the usual muffin ingredients like eggs and oil and flour. 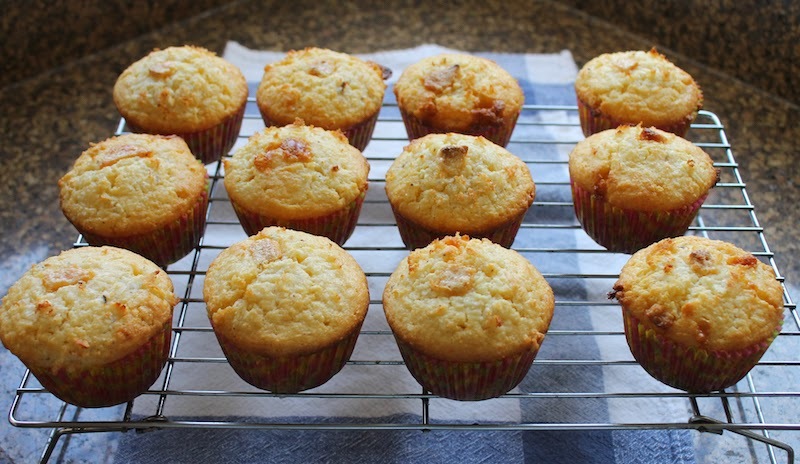 What you get is one delightfully coconutty muffin with bits of sweet white chocolate. Perfect for breakfast or snack time. This week everyone is using Easter leftovers for recipes (myself included, if you count the savory tart I posted yesterday) but shocking through you might find it, I don’t have any leftover Easter candy. I did buy plenty, of course, but I made up gift bags for my girls while I was visiting the US and left almost all of it behind. My husband got a small basket – my Bread Bakers will appreciate this because I used my new banneton meant for proofing dough – and I imagine he’ll eat it all before long. 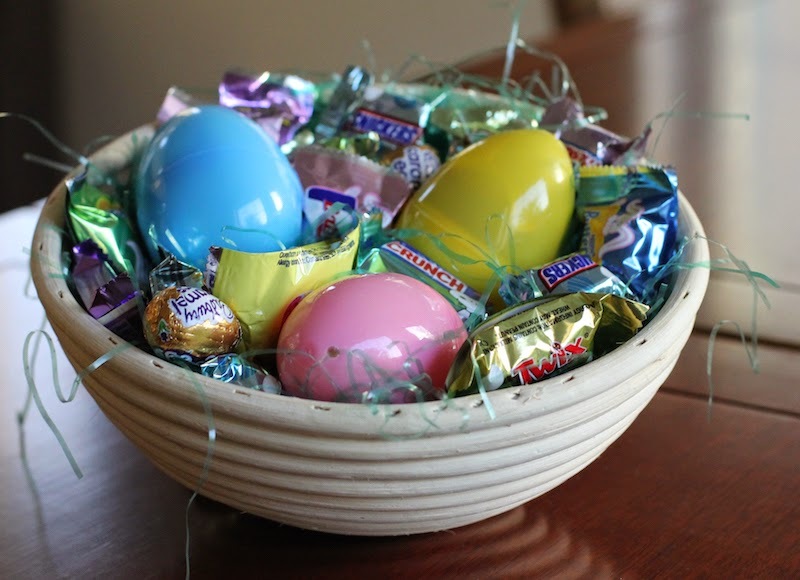 Yes, we do own Easter baskets. And, yes, I do crack myself up. 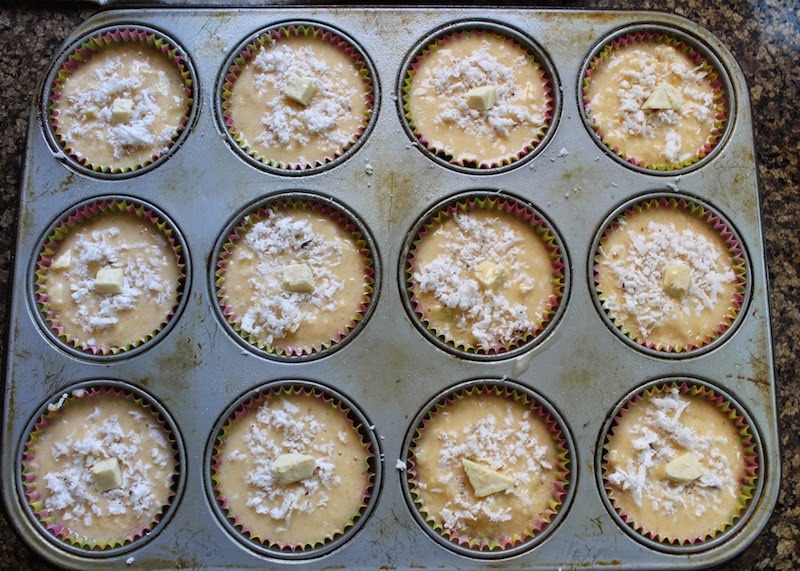 So I am dipping back into my secret stash of candy bars for these muffins, the fourth in what I am calling my Candy Bar Series, made with a white chocolate bar full, and I mean, so very full of coconut that there is no square millimeter of the chocolate that doesn’t have bits of coconut in it. I’m actually beginning to like white chocolate now. Alone it is cloyingly sweet, but with lemon and now coconut, it’s good. 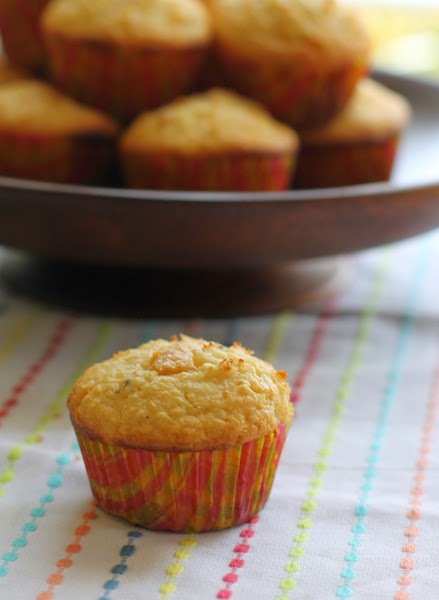 And it makes a tender, fabulous muffin. Chop your candy bar up into bits. In one big mixing bowl, combine your dry ingredients: flour, coconut milk powder sugar, grated coconut, baking powder and salt. Set aside. 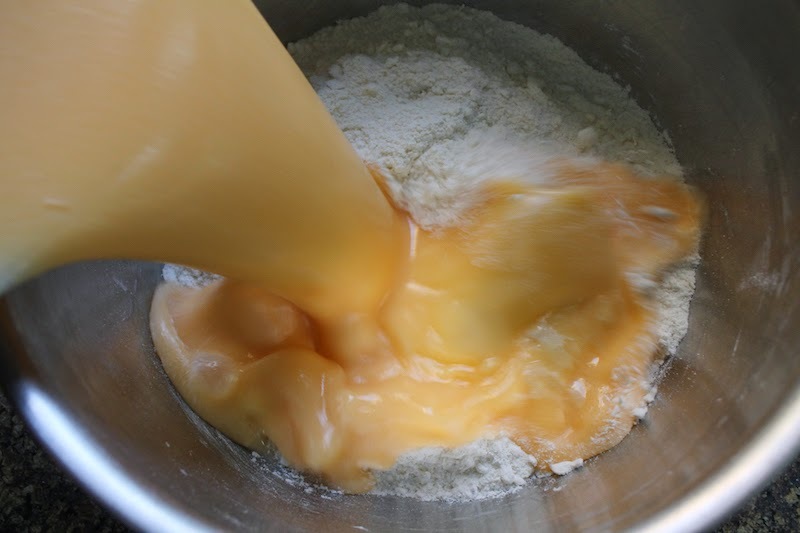 In another small bowl, whisk the eggs with the milk and oil. There should still be some dry flour showing. 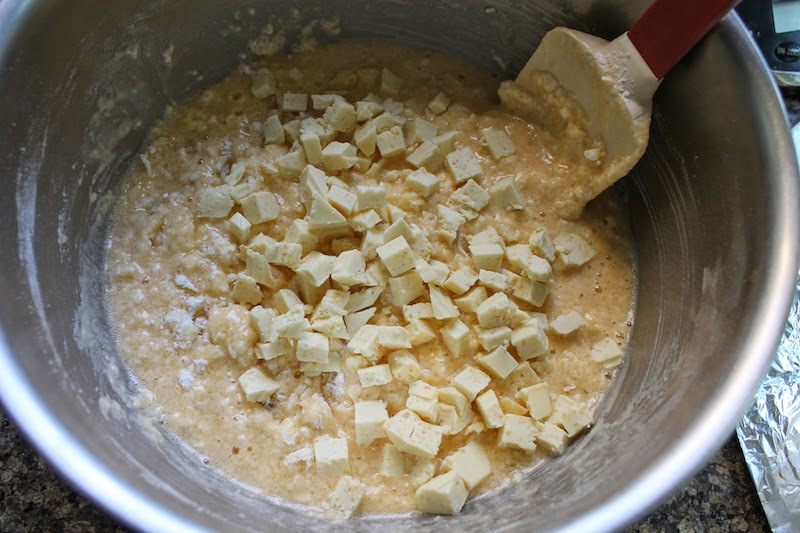 Separate out 12 pieces of candy bar to put on top the batter when baking. Fold the rest of the chocolate into the batter. 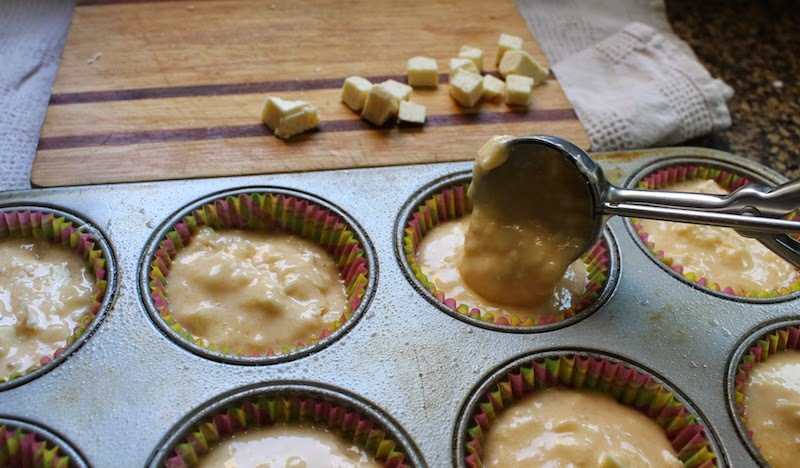 Divide the batter between your 12 prepared muffin cups. Top with a sprinkle of fresh coconut and one piece of white chocolate bar. Bake in your preheated oven for 20-25 minutes or until golden brown. Remove from the oven and cool on a rack for a few minutes. 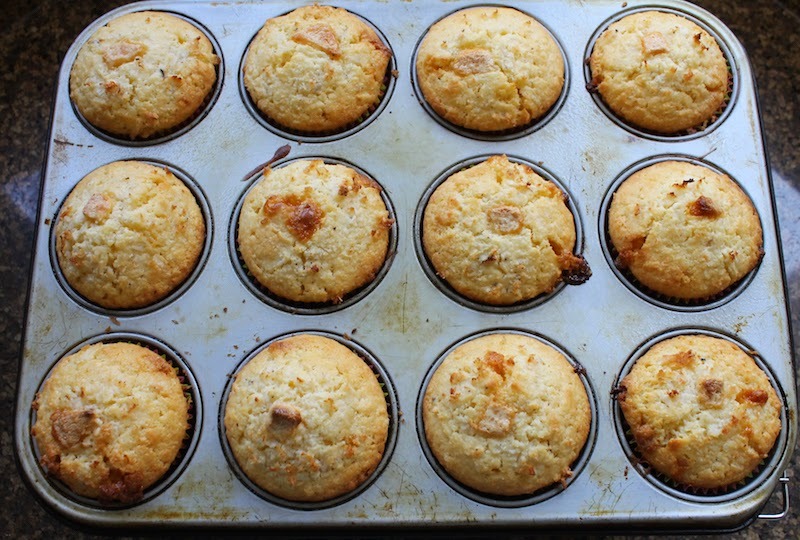 Take the muffins out of the pan and continue cooling on the rack. What’s your favorite candy bar? Which candy bar would you like to see made into a muffin?